69-53 Grand Avenue is a three story building composed of one ground floor retail space that is combined with 69-55 & 69-57 and four 1-bedroom apartments on each of the floors above. 69-55 Grand Avenue is a three story building composed of one ground floor retail space that is combined with 69-53 & 69-57 and two 1-bedroom apartments on the second floor and one 3-bedroom apartment on the third floor. 69-57 Grand Avenue is a three story building composed of one ground floor retail space that is combined with 69-53 & 69-55 and four 1-bedroom apartments on each of the floors above. 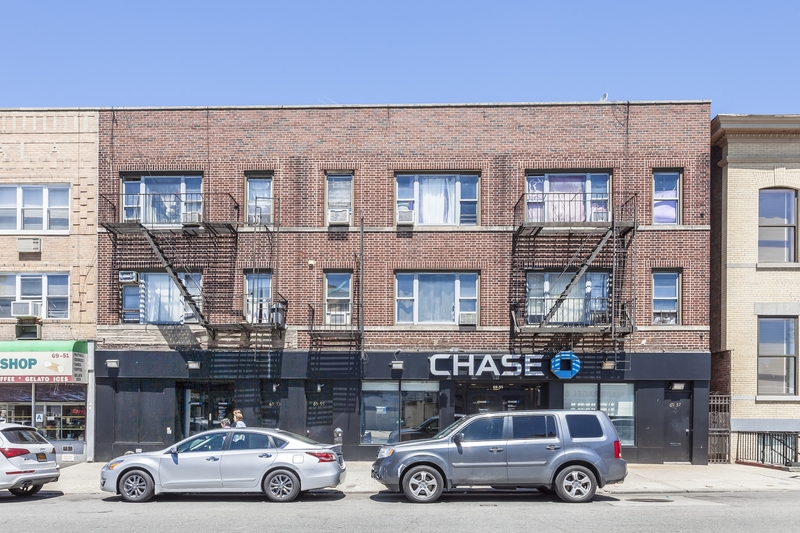 This property offers investors the rare opportunity to purchase three contiguous mixed use buildings with 60 feet of retail frontage on Grand Avenue leased to Chase Bank and eleven apartments with a low average rent located on the border of the Maspeth and Elmhurst neighborhoods of Queens, NY.